LaserAway is a Texas premier medical spa specializing in laser tattoo removal, laser hair removal and anti-aging procedures. 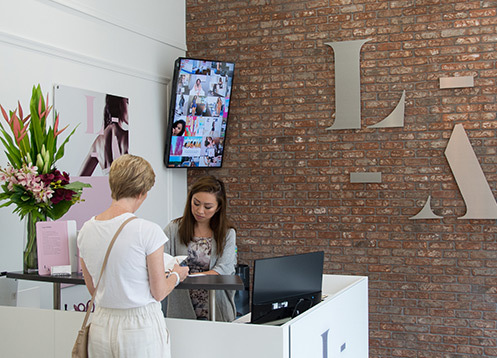 Since LaserAway’s 2006 California debut, Hollywood celebrities have raved about its state-of-the-art laser hair removal procedures. Uneven skin tone got you down? Do you want to erase that ugly tattoo? Would you like slimmer, firmer body contours? LaserAway offers full medical spa services that can help you with all these problems and more. Advanced skin rejuvenation (also called “photofacials”), Botox, dermal fillers, skin tightening, body contouring – LaserAway offers it all. A full list of services appears on LaserAway’s Medical Spa Services pages. We at LaserAway understand how difficult it can be to choose among medical spa treatments. That’s why first-time clients can take advantage of a free, no obligation consultation. Our expert medical staff will happily explain the finer points of laser hair removal, tattoo removal, anti-aging procedures, or any of the other treatments we offer at our Texas locations. Curious about Thermage? LaserAway can help. Eager to try VelaShape? No problem. Want to experience Clear + Brilliant? Come on down and visit Texas premier medical spa, LaserAway.